Whether it’s for inpatient or outpatient services, pharmacies require a great deal of organization and flexibility in order to serve patients quickly and efficiently. 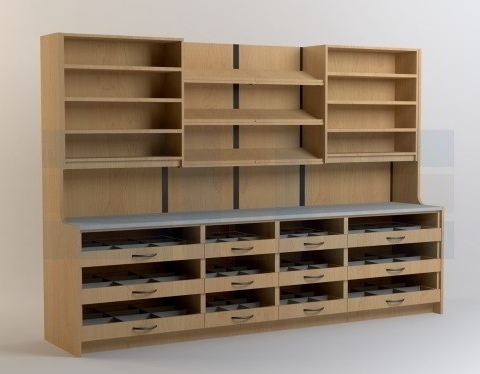 Pharmacy casework is a reusable and adaptable medication dispensing and storage solution that is designed with the ability to change as fast as patient needs do. Unlike built-in millwork, the pharmacy casework is preconfigured at the factory. Once shipped, the casework arrives fully assembled and ready to set in place without professional installers. If your workflow processes change, you can easily modify the casework to better fit your needs. Additionally, moving isn’t a problem, either; if you need to relocate, just take the casework with you. Built-in millwork, meanwhile, is built directly into the building and is immovable once installed. Additionally, casework installation doesn’t require any building modifications. Set it where you want, and move it later on if you need to. 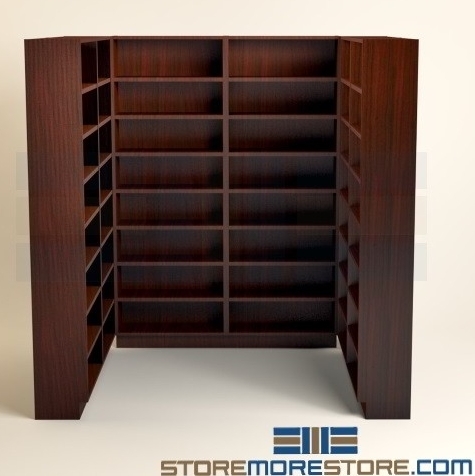 Pharmacy casework is available to buy online in standard or customized configurations. For more information or to receive additional assistance, send us a message or call us at 1-855-786-7667. Volume discounts available.